Tribal Caucasian is a stunning kilim carpet which is woven in the finest quality of wool and cotton material. It has an intricate design pattern which is hard to weave. This carpet is suitable for the bedroom as well as living area. 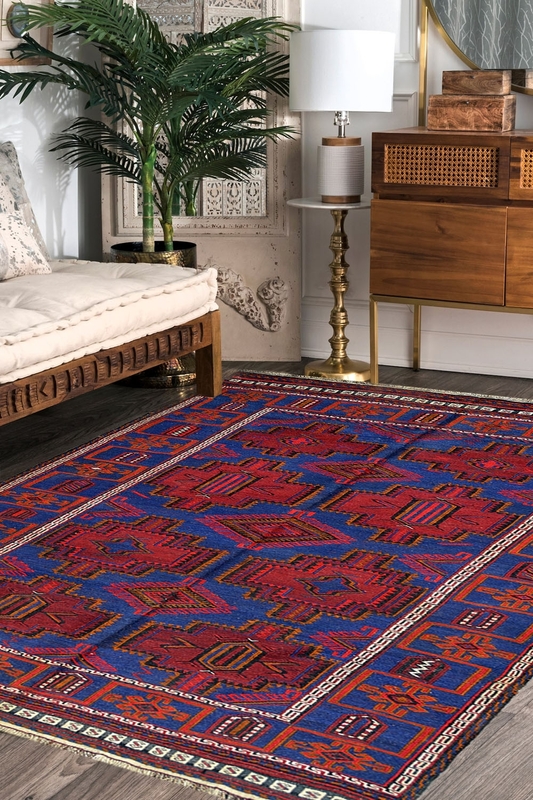 Decorate your home with this beautiful handmade kilim carpet which is woven in the finest quality of wool which is produced by sheep hair and finest quality of cotton. First weavers make a foundation of cotton on handloom and then make a design using wool. The design is interweaving.